Takeaway: Applying fuzzy logic in directional drilling techniques creates less risk for error when drilling in difficult, unpredictable sub-surface conditions. Fuzzy logic is a type of logic based on degrees of fact rather than the absolute fact, very similar to human logic. Fuzzy logic allows experts in trenchless construction to process data in between the extremes of true and false. The Boolean values of 0 and 1, or absolute true and absolute false, cannot be applied to anything in nature because nothing is absolute. This concept has proved very useful in the field of trenchless technology, which uses automated systems to drill in difficult and unpredictable sub-surface conditions. Here we'll take a look at fuzzy logic and how it's used in trenchless construction. Fuzzy logic was first proposed in 1965 by Professor Lotfi A. Zadeh at the University of California at Berkeley in his paper "Fuzzy Sets." The subsequent research and efforts by many has given rise to a technology that is now widely used. Fuzzy logic is now used widely in many everyday products, such as dishwashers, humidifiers, video cameras, refrigerators, rice cookers, elevators, traffic control systems and aircraft control. Trenchless technology uses underground drilling techniques, like horizontal directional drilling (HDD) (Learn more in The Evolution of Directional Drilling). When fuzzy logic is incorporated into HDD, better results are achieved than when working on absolute values. This is because most of the work is done out of sight and depends on data gathered at site and data available from previous projects. In-spite of thorough geo-technical and soil investigation, ground conditions below the surface are not absolutely predictable. Fuzzy logic can be helpful when applied to the drilling mechanism to make real time decisions based on planned and actual conditions. 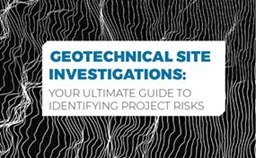 Risk assessment from previous projects can be effectively used to predict risks to the current project but does not establish or eliminate the risk entirely. These risk factors exist in a fuzzy way and can be used to provide an output using fuzzy inference and fuzzy rules. True automated drilling incorporates azimuth, well bore inclination and Cartesian coordinates to guide the controllable components. True automation minimizes human expertise, and reduces the dogleg severity of the well bore, which can be achieved by imposing frequent and minor changes to operating conditions and minimizes oscillations. The fuzzy logic controller systematically maps observable system input and converts it into system output that can be controlled. Drilling direction is affected by critical system components such as bottom hole assembly (BHA), rate of penetration (ROP), drill bit (learn more in The Right Drill Bit for Soft, Medium & Hard Ground Conditions), formation, mud slurry and operating conditions. These factors are used to depict a cognitive map of drilling direction (CMDD) to show the association of these components in a complex dynamic system. In order to investigate how automated directional drilling would work, a 3D finite element simulator model with a drill-ahead model was developed. This gave rise to a patent for using fuzzy logic for directional steering using CMDD and technical hole deviation (THD). The THD is systematically mapped in the fuzzy drilling direction controller (FDDC) and shows the change in tool face magnitude and orientation (TFMO). Fuzzy logic is used to determine TFMO and compute the other tool force components. The FDCC figures out how to change the tool settings that will affect lateral forces acting on the drill bit, consequently changing the direction in which the bit drills. Fuzzy rules organized with many rule matrices comprise the FDCC and every steering scenario consists of a rule within a rule matrix. These matrices use vertical deviation (VD), relative change in vertical deviation (RCVD), inclinational deviation (ID) and relative change in inclinational deviation (RCID) to compute tool face direction relative to x and y coordinates. THD logs are very useful because they deliver important details that are impossible to detect using standard directional plotting. It can assist the drill operator to assess the situation better and make correct decisions regarding the direction the drill bit should be steered. Fuzzy logic is capable of producing a better well bore path for the drill operator and can prevent costly overshooting. Fuzzy logic is used in directional drilling but is also applied to other applications within a drilling operation in the drill rig. It can be used in mud pump and choke control while drilling is in progress, density control in liquid mixing and dynamic positioning for drillship. It can also be used for optimizing ROP, air flow control, alarm systems and drilling diagnostics. Every directional drill operator has parameters that must be tuned to arrive at the computed output, but with a few parameters it is difficult to arrive at the right one. Fuzzy reasoning system is effective because of the large database consisting of a wide range of value of control parameters such as hook load, weight on bit (WOB), rounds per minute (RPM), and torque. This provides continuous average risk values and compares it with maximum and minimum base references to predict drilling risk. It can also be used to analyze the stability of a designed well bore in an environment with input parameters such as specific geological conditions, rock strength, definite hydrostatic and fracture gradient, configuration of drill string and drilling fluid properties. The output can be compared with actual results to understand the differences. Fuzzy logic is incorporated in many technologies with amazing results and is particularly profitable in the directional drilling industry.